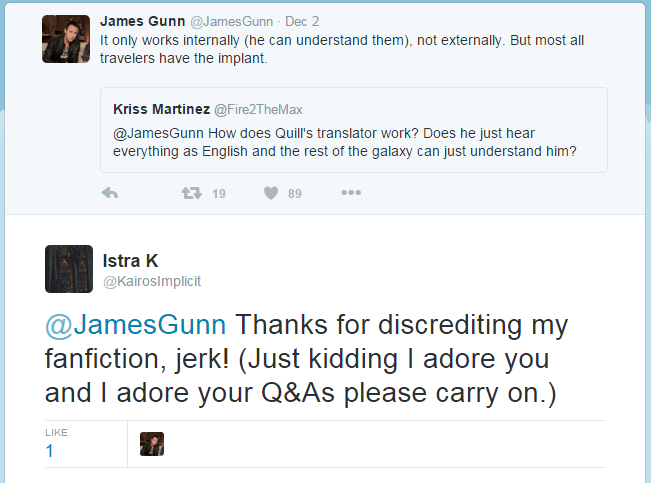 So James Gunn (director of GotG) was hosting this discussion on Twitter about how Peter's translator implant works, which caught my attention because the plot of "Detonation Imminent" essentially revolved around the translators breaking. It's okay though, he liked it. But now I wonder if my way makes more sense. How are the Guardians going to speak to the Avengers when they meet? Nobody on Earth has a translator implant.